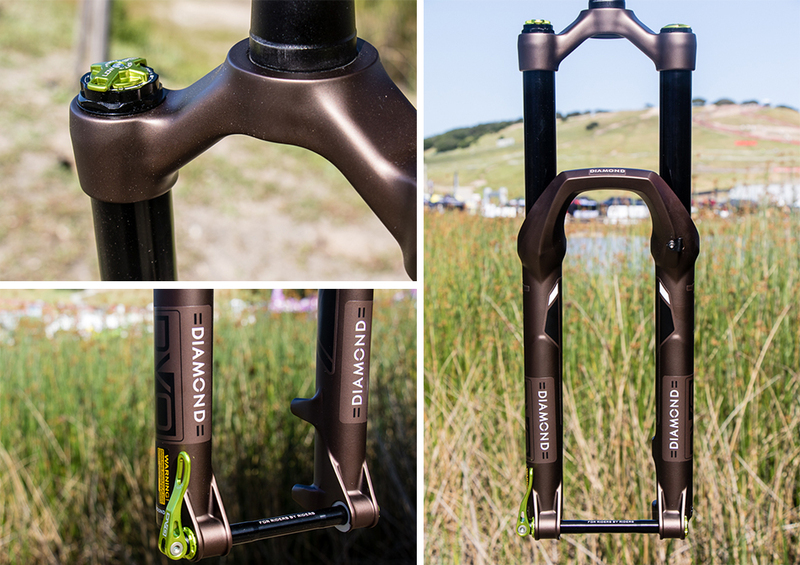 DVO showed off a brand-new fork and shock, as well as an updated version of its Diamond fork at this year’s Sea Otter Classic. Here’s a quick look at the brand’s new suspension bits, which are slated to be available this summer. Building on the momentum generated by its Diamond trail and all-mountain fork, Los Angeles-based DVO suspension has developed the Sapphire–a lighter-weight trail fork available in three travel options: 100, 120 and 140 millimeters. 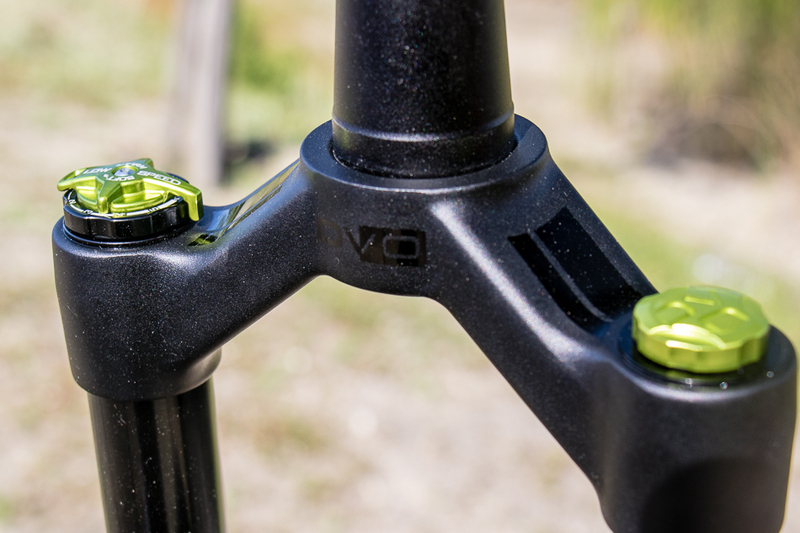 According to DVO's Tom Rogers, the Sapphire sheds a healthy amount of weight by integrating the air spring into the stanchion, rather than employing a cartridge inserted into the fork leg. The Diamond has received a makeover. Available in both 650b and 29er versions, the 650b variation has up to 170mm of travel, while the 29er maxes out at 160 (but could be set to 170mm with some internal tinkering). The goal with the new Diamond was to shave some weight with an all-new lower casting, which is also designed around Boost-hub spacing, accommodating wider tires. Like the Sapphire, the Diamond utilizes a 15mm thru-axle and features DVO's externally tunable high- and low-speed compression. The redesigned Diamond still sports DVO’s OTT (Off the Top) adjustment, which allows riders to adjust the fork’s sensitivity in the initial part of the stroke. 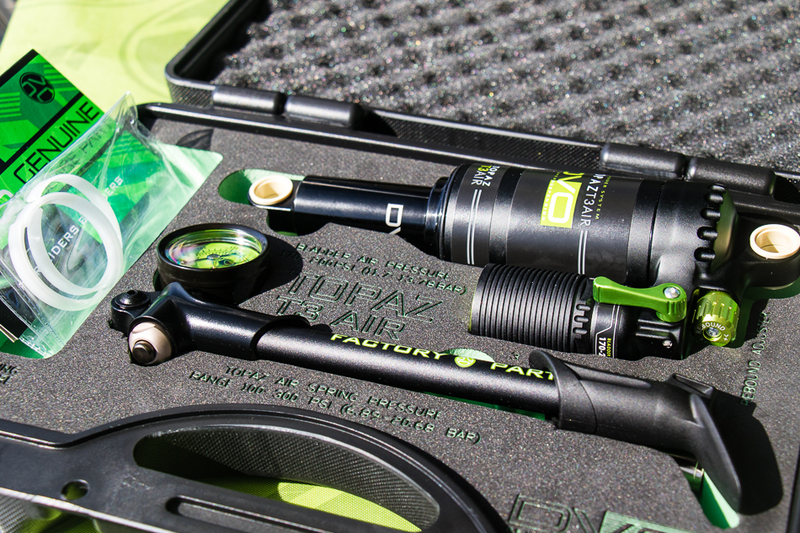 The all-new Diamond is offered in three colorways: lime green, black, and a dark copper (shown).